If you have been involved in a slip and fall in someone’s property, the cause of your fall is very important. First, simply falling on someone’s property does not automatically make them responsible for your injuries. It is your responsibility to ensure that you watch your step. 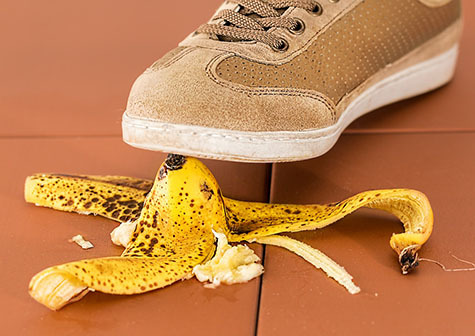 For example, if you fell on someone’s property because your shoes were slippery or because you missed a step, it does not mean that the property owner will be held liable. If you fell due to an elevated sidewalk, wet floors, or in defective stairs, you might be able to make a claim; however, you still have to prove that the property owner knew of the danger that caused your fall. Generally, property owners have a duty to maintain their premises in safe condition. However, under Florida law if a person falls on a slippery substance on the floor, that person would have to prove that the property owner was aware of the substance on the floor. In order to prove that the property owner knew of the substance on the floor, you have to show that the substance was on the floor for a sufficient amount of time so that the property owner was or should have been aware of it. If you have been involved in a slip and fall and have questions about your claim, contact injury attorney Klodiana Hysenlika at 727-796-8282.